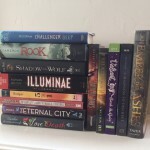 This post is both Showcase Sunday a weekly meme hosted by Vicky at Books, Biscuits and Tea and Stacking the Shelves hosted by Tynga’s Reviews where you show what books you’ve purchased, gotten from the library, received from giveaway, as gifts or for review. I’m so happy to hear that though the car got totalled, your husband is perfectly fine without a scratch! Not surprising you haven’t read, reviewed or blogged much after that! I can’t wait to hear what you think of The Murder Complex, it sounds great and my request was denied. Oh, I'm so sorry your request was declined 🙁 I'm very curious to how it will be since Cummings is a debut author. I absolutely adore the cover for The Unbound, though I still haven’t read The Archived. The Murder Complex has been on my radar for a while now, so I look forward to seeing what you think. 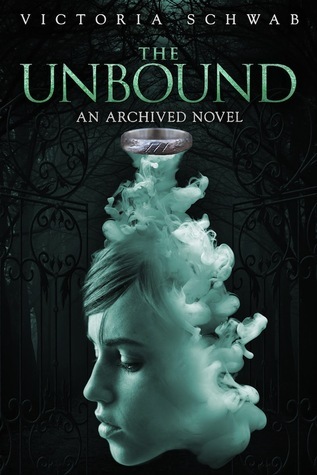 I love the cover of The Unbound…so happy it’ll look lovely next to my The Archived. Thank you As’Ishah! Have a great week. Love Victoria Schwab, happy reading! I love Schwab’s writing–so eloquent. 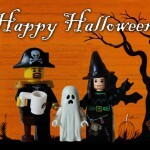 The Near Witch is my favorite so far but hoping The Unbound takes its place. Nice haul. Was going to request the Unbound but decided to finish what I already have. Victoria’s awesome. Harper Teen titles are hard to resist. Yes, Victoria is awesome! I was this close to not requesting/downloading either book but I couldn’t resist. I have no self control. Have a great week! Oh no! I’m so sorry to hear about the wreck – so glad your husband is okay! Also, please enjoy your books. 🙂 Use them as stress relief! Thank you Jess! Now we just wait for insurance to come back and let us know what we can get for the car…so less stressful not having anything to do but wait. Have a great week too! Sorry to hear about the car! That must have been awful. I’m glad your husband is okay though. It’s lucky that he wasn’t hurt. I hope you enjoy your new books when you get around to them! I’m curious about The Murder Complex. I love the cover. And I also see you’re reading Tin Star. How is it so far? I’ve seen mixed reviews, but I’m planning to read it in a couple of weeks or so. Thank you Sam! It was very very lucky he wasn’t hurt at all. Feel very blessed. I’m very curious about the Murder Complex. I like the summary and cover but since Lindsay is new I have no idea what writing style she has. I’m hoping it’s very good. I don’t exactly know how I feel about Tin Star. the pacing is veeery slow but there is something about it that is keeping me reading. Aw, dang! I’m glad your husband is okay, cars can always be fixed, it’s the people that matter 🙂 I also got The Murder Complex, the cover is so mysterious. That is the truth Alise! I was so relieved he was just fine. I hope we both love The Murder Complex! 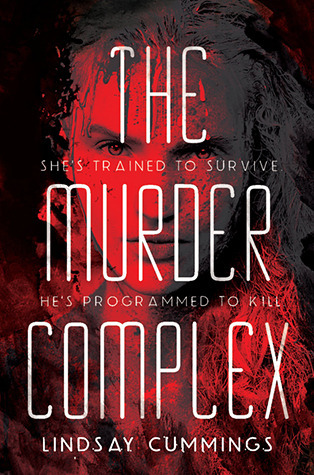 I still have to read The Archived (but I’ve heard amazing things about it) and hmm…I’m personally not that impressed with the cover of The Murder Complex. You know…I’m sort of mixed with the cover of TMC. It has grown on me. When it was first released I wasn’t a fan but now I like it much more. I hope the writing is very well done. We shall see! Got The Murder Complex this week too. I hope it will work for the both of us. Yes! I hope it is amazing! Thanks for stopping by! So sorry to hear about the accident but so glad your husband is okay! I got the Murder Complex too — hope we love it! Oooh, The Unbound looks good. Happy reading, I’m glad it was only the car that got hurt. I got The Murder Complex last week and I can’t wait to read it! It looks so great. I also really need to start the Archived series, have heard so many amazing things. I hope you enjoy them both 🙂 My STS. I received The Murder Complex last week and I can’t wait to read it! I really need to read The Archived. I had the sneak peek of the first one and I was really intrigued. Oh, man, I forgot that I got The Murder Complex! We got the same two books this week! So glad to hear your husband is okay (especially after seeing those scary pictures). I haven’t yet read The Archived but boy do I need to, that sounds fantastic. That cover on The Murder Complex is fantastic. Enjoy your new reads! So, I’m guessing this means you’re on the tour for The Unbound?!? Me, too! Sooo excited to hear what you think of it. I loved it EVEN MORE than The Archived, which is saying a lot. Now I need to read The Near Witch and Vicious. 🙂 Enjoy your new reads!